This badge is in very good condition with its lugs intact. RAF Association 2019 Warrant Officer Duck. 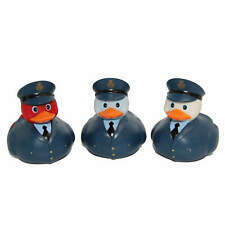 Show your support for RAF Association with these cute little ducks dressed in an RAF Warrant Officer uniform. These floating ducks are perfect for your bathroom. Approx Length 140cm and Width at the widest point Approx 9cm. A Hand Finished Body. OVERSEAS orders High Quality Cloth Used In The Manufacture. Genuine issue regulation anodised (stay bright) Royal Air Force Warrant Officers beret badge featuring eagle and crown design. Miniature version of the WO\'s cap badge. Manufactured by our MoD-approved supplier. He was promoted towarrant officer and his Victoria Cross (VC) award was gazetted on 26 October 1945. Group Captain Cheshire insisted that, despite the difference in rank, they should approach the King together. RAF Warrant Officers No.1 Dress Jacket dated 1953. Label marked made by Rhee Ellison and Co. Ltd, 1953. Signed to an F. S. Reeves. Condition as per the photos. Staybright/Anodised.The Royal Air Force Warrant Officers cap badge. (447) Staybright. The Royal Air Force Warrant Officers cap badge. 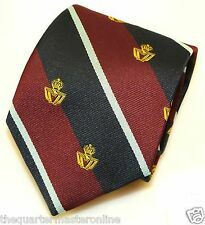 Size : because they are hand made the sizes and lengths may vary slightly but both the length of the tie, the width of the blade and all the spec is MOD specification for a mans military tie. These ties are hand made here in the UK from the finest materials available and made to exact MOD specifications and colours. Royal Air Force anodised Warrant Officers beret badge. Item Size: Varies due to shape of badge. MOD Specification. Item Material : Exactly MOD specification materials for this badge. Again as seen in photo. You know the type…. ROYAL AIR FORCE NO1 JACKET. Raf grey/ blue no1 dress jacket. Genuine British Army Issue. Chest: 38". Features two large officer waist pockets and two chest pockets. All parcels require a signature on arrival. Completed over 25 missions between Aug to Nov 1944. RAF MENS MUSICIANS JACKET RANK OF WARRANT OFFICER CHEST APPROX 41-42"
GENUINE RAF ISSUE. JACKET IS IN VERY GOOD CONDITION. LAID FLAT ARMPIT TO ARMPIT: 21.5". From its formation in 1919 until 1940 the Royal Air Force had two classes of Warrant Officer rank, but early in 1940 the Warrant Officer (2nd Class) was abolished, and not reinstated. Two examples of the Air Cadet Adult Warrant Officer Sleeve badge, the first on blue/grey worn from 1959 to 1972, and the version on dark blue worn from 1972 to the present. Label states 5'9" - 5'10" Height with 38"- 39" Chest & 34 to 36 waist with the maker Heptos & Co Leeds 1945. I have tried to show any defects to fabric in the last 3 pictures. This has been Family owned since issued in 1940's. Completed over 25 missions between Aug to Nov 1944.